Even though I haven't read the Vampire Academy series, it was very easy to slip into the world of Bloodlines. After hearing so much buzz about this new series, I knew I had to read it! 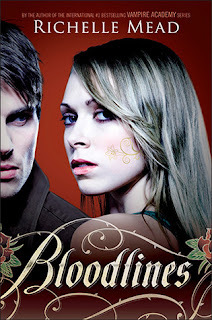 I really enjoyed reading Bloodlines, it has a nice pace, with just the right amount of events and characters. Everything flowed very well, and the relationships between the characters was very realistic. Lately it seems it doesn't matter what book I read, the characters meet one day then next thing you know they're totally in love, and it's like..did I miss something?? But with Bloodlines this was not the case. Sydney is an amazing main character, she's strong, and down to earth and at no point did I get even a little bit annoyed with her. She knew how to think for herself and knew how to solve problems instead of just sitting there and complaining about it. Another character I ended up really liking was Adrian. Gradually he started proving more and more that he could be there for Sydney and that he wasn't just another stupid guy. I had no idea what to expect before reading this book, but it turned out to be a really enjoyable read. I really didn't see the ending of the book coming, which was a nice element of surprise. I can't wait to read the next book! I really want to read this one. Have heard very good things! 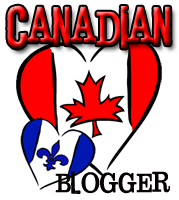 I tagged you for the Liebster Award on my blog. Check it out! Ohh I'm glad you enjoyed it! I really liked The Vampire Academy so I can't wait to read this one!